When you need the best residential electrical services in Orange County, look no further than Peterkin Electric. Homes in Orange County today have significantly higher power requirements due to our increasing dependency on computers, electronics, home entertainment systems, modern appliances and improved lighting. The professional residential electricians at Peterkin Electric understand these demands and the electrical equipment required to support them. 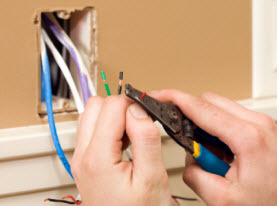 Our residential electrical services ensure all home wiring is not only performed correctly and to code but that it will meet current and future electrical requirements while continue to perform safely for the years ahead. 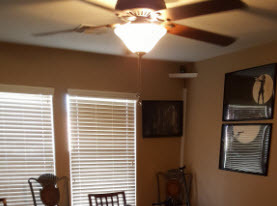 Whether you hire us for a one time emergency electrical repair, or we develop an ongoing relationship to meet all of your electrical needs, the experience will always be positive. We hold our expert technicians to the highest standards. Our residential electricians possess knowledge, proven competence and extreme professionalism. 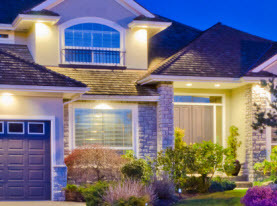 We offer new home and addition build-out wiring services, full-house wiring replacement services, interior home and exterior landscape lighting solutions, inspections and insurance claims. Our team of professional residential electricians in Orange County also install new or additional panel boxes for your growing electrical needs and installation of fixtures such as vanity lights, chandeliers and ceiling fans for example. We provide quality electrical inspections, routine electrical wiring maintenance and we will also consult with you on ways to make your home more energy efficient. The knowledgeable and experienced, licensed residential electricians at Peterkin Electric never take short cuts or overlook potentially dangerous wiring problems. Our goal is to make sure all the home electrical jobs we perform are done correctly. We strive to provide helpful recommendations when applicable to help protect your investments. 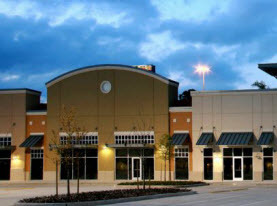 Contact Peterkin Electric for all of your residential and commercial electrical needs in Orange County!